If you are looking to replace the gutters on your home in the Madison, Wisconsin, area, be sure not to delay. Gutters play an integral role in keeping the inside of your home dry and free from the costly and expensive effects of water damage. If excess moisture is not channeled away from your home, it can cause roof rot, landscape erosion, mold and mildew growth, basement/crawlspace flooding, and much more. 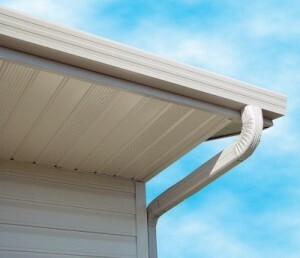 At ABC Seamless Home Specialists, we can replace the gutters on your home with our designer fascia-style gutter system. It is designed to handle 23 percent more water than standard gutter systems and is nearly four times stronger. Each miter is custom made onsite for a perfect fit, and it is designed to blend seamlessly with your home’s exterior. Plus, it has a coated finish that prevents chalking and weathering over time, so it will never detract from your home’s curb appeal. To learn more about having us replace the gutters on your home in the Madison, WI, area, contact ABC Seamless Home Specialists today.